Nutrisystem is a plan of total convenience while on a journey to reach your weight loss goals. Once you decide on the program, you choose the plan that meets your lifestyle and health, getting connected to the menu foods where you make your selections. You can go with the member favorites and do nothing or make your personal mixture of preferred foods to meet your taste according to the food choices presented. You are allowed a choice of 28 breakfast, lunch, dinner and snack or dessert choices that are ordered and shipped right to your door once you click the “submit” button. How easy is that? Just read what Susan from Florida has to say and see if the plan can work for you. Susan was overweight her entire adult life and weighed as much as 300 pounds in a size 24. Her breaking point was on a camping trip, trying to go tubing and could not fit in it to enjoy the activity. She is a young, married woman with no children, yet, and an adorable dog named Samantha. She decided she needed to shed some pounds and chose the Nutrisystem program because of convenience. Making food changes was not an easy task; it is hard work but she was determined to follow the plan and lose weight once and for all! She loves chocolate, so she was skeptical of sticking to the plan; however, they do have choices to satisfy most all cravings, including her desire for chocolate. Watch this Nutrisystem Chocolate Cake Taste Test. After feeling defeated, fatigued and embarrassed about her weight for so long, Susan was looking for a convenient and successful way to shed her excess weight. She struggled with various ways to lose weight until she got married and starting gaining again. Although she was 300 pounds at her heaviest, she was done to 260 when she started Nutrisystem. Along with the plan, Susan and her husband began a regimen of walking to gain some fitness, which helped in her weight loss journey. As she felt more stamina and began to decline in weight, she increased her fitness levels and activities. As she states, Nutrisystem was a commitment to change her life permanently. From the first box of foods that were delivered to her door step, Susan had all the tools she needed to succeed. She learned portion control and better food choices, even through the holiday seasons. There was no cheating if she wanted to reach her goals. The first month showed a loss of ten pounds and extreme higher energy levels. With her busy schedule, Susan was able to load up on at least 4 servings of fresh vegetables and two fresh fruits daily. With the foods allowed each day in addition to the fruits and vegetables, she never felt hungry. Then when the compliments came, along with her progress, she felt so much better about herself with confidence and encouragement. Nutrisystem food costs less than $10 a day. It can cost you even less if you look for discount coupons in sites like GeekAlert, WeightLossTriumph, and MyCoupons.com. Is it easy? Susan confirms that sticking to the Nutrisystem plan, along with about 30 minutes of daily physical activity is an easy commitment to reach your goals. Although it is not a quick weight loss plan, losing a pound or two a week, it is a permanent loss for good health and vitality. 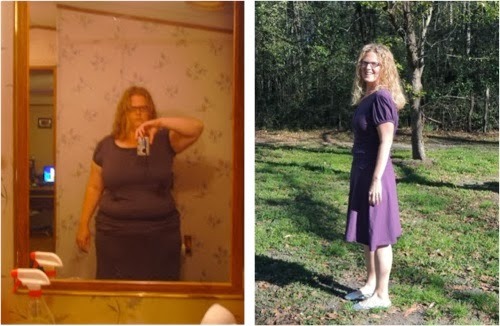 At her ultimate goal, Susan lost 108 pounds and went from a size 24 to a size 4. Because of her consistent physical toning and exercise, she also has muscle and no extra sagging loose skin. She says that it definitely takes hard work and commitment, but if you are determined to look and feel better, you can achieve your goals the way that Susan did on the Nutrisystem weight loss plan. Maintaining the weight is a lifetime challenge and she keeps track of her progress after Nutrisystem to utilize the tools she gained, along with continual fitness activities to guarantee the weight does not creep back up! Susan’s sister also joined the plan after her second child to rid that “baby fat” and lost an incredible 70 pounds.